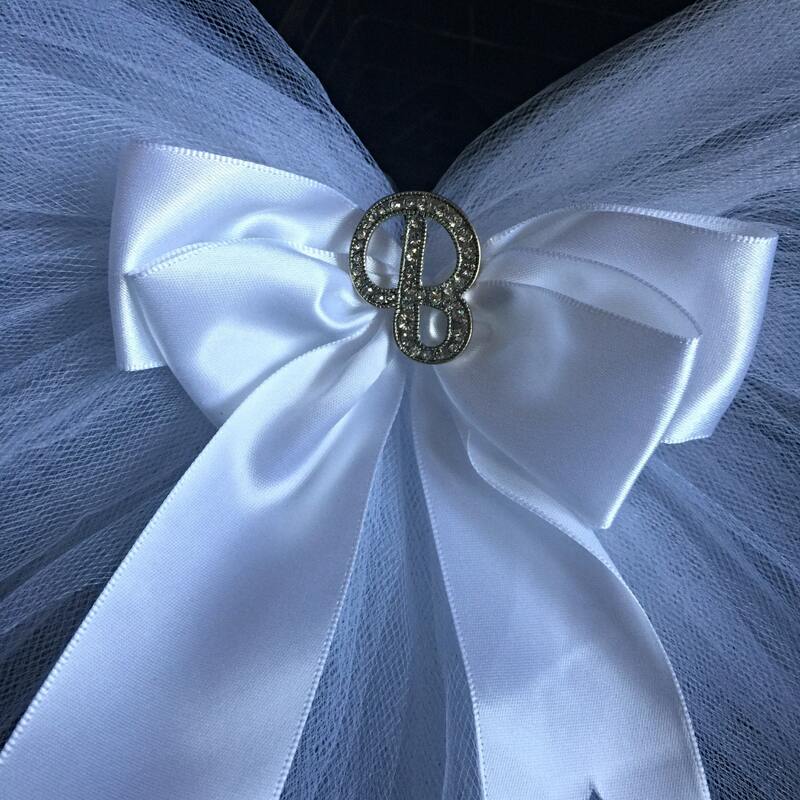 This adorable booty veil™ attaches to any swimsuit or skirt and will make your Bachelorette or Bride stand out! 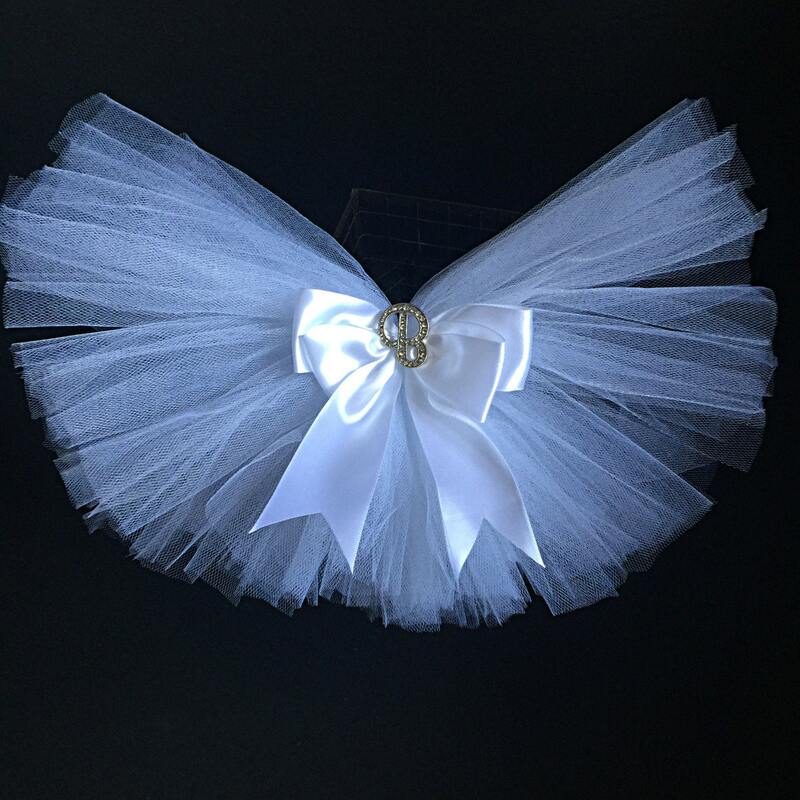 It's great for poolside bridal showers or for that Vegas Bachelorette Party! 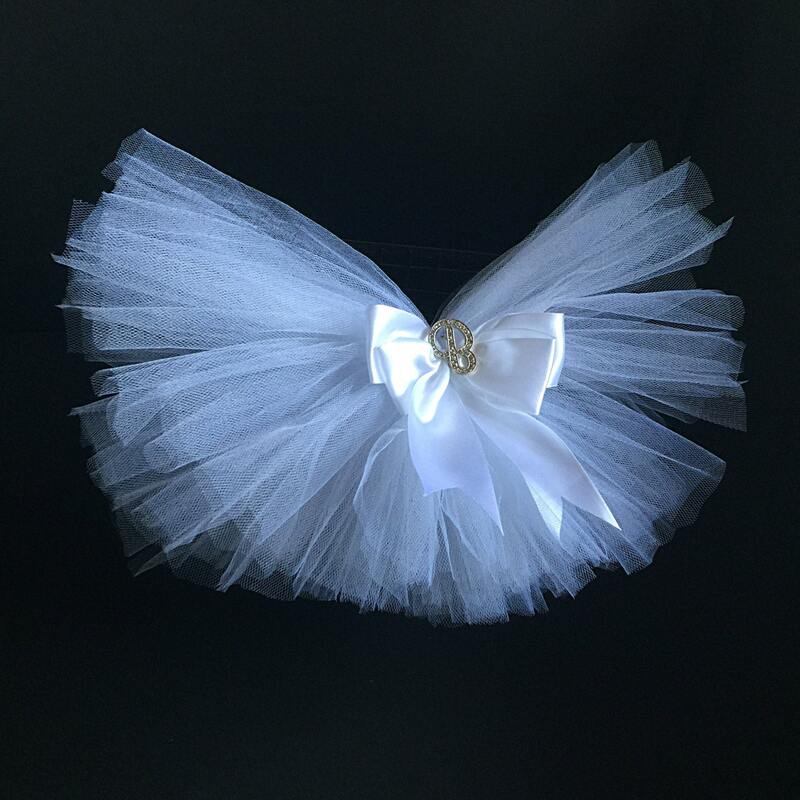 The Booty Veil™ is made of durable tulle with a satin ribbon. The center is will be embellished with the initial of your choice. This particular style is limited and I am no longer able to get any additional letters.